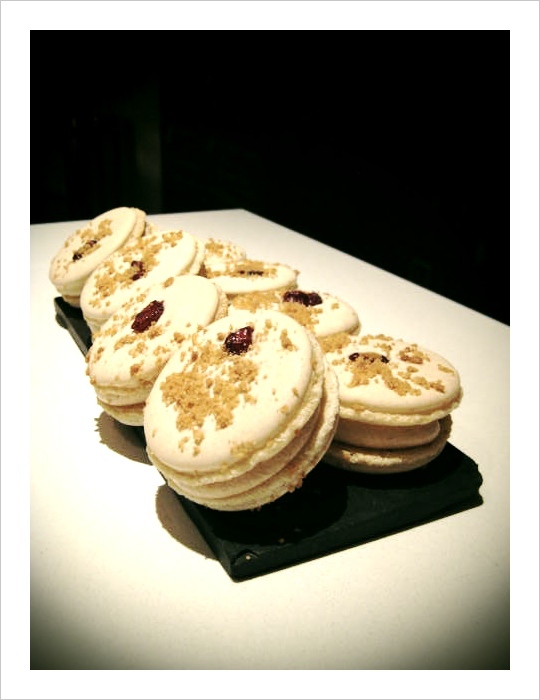 Photos of the Day: New Apple Pie Macaroon! 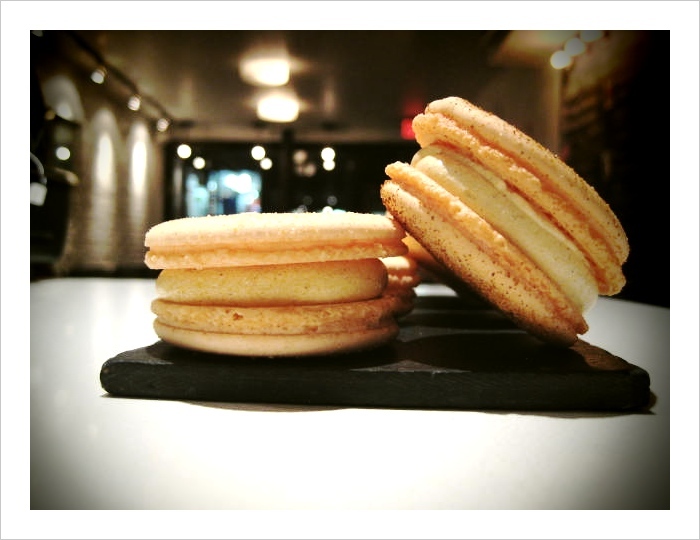 An apple pie macaroon (french-style and pictured right) has joined the butternut squash macaroon for the fall. The apple pie mac has a caramelized apple buttercream with cranberry compote in the center. Yum! Macaroons are available only at the store. ← Photos of the Day: Customized Cupcakes!